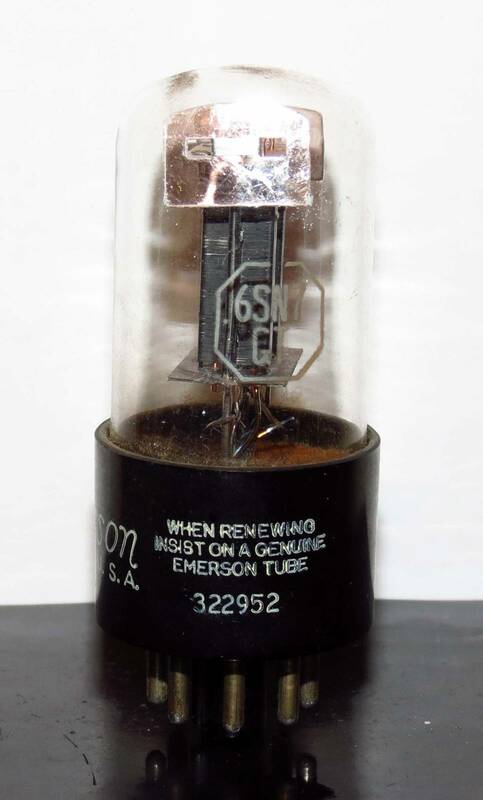 This entry was posted in Vacuum Tubes and tagged 6sn7/ECC32, Tung-Sol by tubemaze. Bookmark the permalink. Next installment in Tung-Sol 6sn7 tubes. This one is super rare, I’ve seen quite a few round plates and mouse top tubes, but this is the first one with rectangular side mica that I discovered. It’s very similar to the famous Mouse ear tube, but has a much shorter bottle. It was produced in 1949. The sound was much better on the top compared to the round plates and the bass was all there – very strong, powerful, warm tube with huge amount of details. However, compared to the Mouse ear tubes, this one didn’t have as much air. Nevertheless, a beautifully sounding tube. Don’t know where and how to find it, but if you do get it – there is not as much hype around it, so you might be able to score it for a reasonable price. HIGHLY RECOMMENDED.